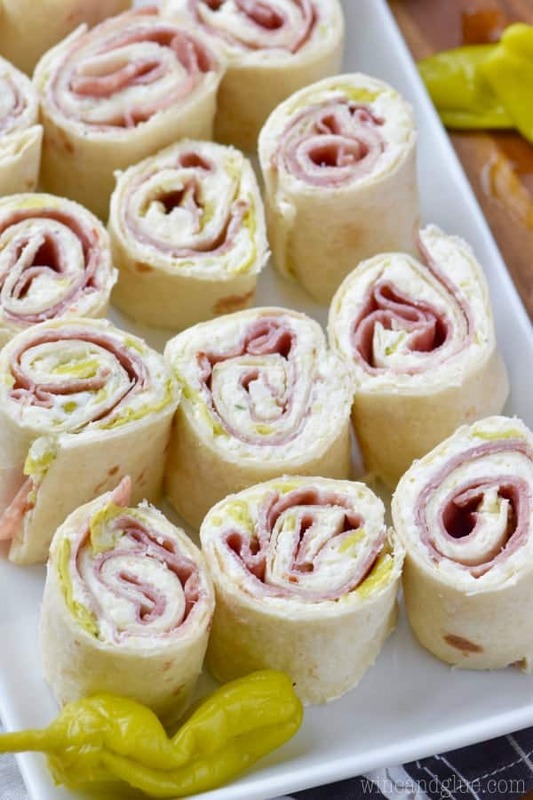 These Italian Pinwheels are super easy to throw together and make for a delicious appetizer! I think I can let the cat out of the bag . . . I know I have talked about the fact that we are selling our house, but I haven’t mentioned why. We are building! I haven’t shared this little tidbit for a whole bunch of reasons, but one of the biggest reasons is I have such mixed emotions about it. First, leaving our current home absolutely breaks my heart. I actually can’t think about it too much without wanting to cry. It’s where we brought Quinn and Piper home from the hospital, and also . . . it’s like the only place I feel a physical connection to Elliot. We bought this home because I was pregnant with him and we wanted more room for our two little boys to play, wrestle, fight, and grow. And then . . . . and then there was me taking his nursery apart just three months after we moved in and put it together. It’s going to be hard to leave here. And another piece of it is all along this process of building . . . I mean, Nathan and I worked really hard for everything we have with some obvious privileges. And I can’t help but think about the hundreds of thousands of people who work just as hard as we do (some lots harder), but will never be able to build a dream home. It’s something I’ve really really struggled with. And continue to struggle with. But I will say that we feel exceptionally grateful. We feel so grateful that we are able to build this amazing and beautiful house that we get to raise our three kids in. And I am NEVER moving again. Aside from losing Elliot and my mom, this has easily been the most stressful 8 months of my life. Thank the sweet heavens it is almost over! In the meantime, let’s have allllll the Italian Pinwheels. 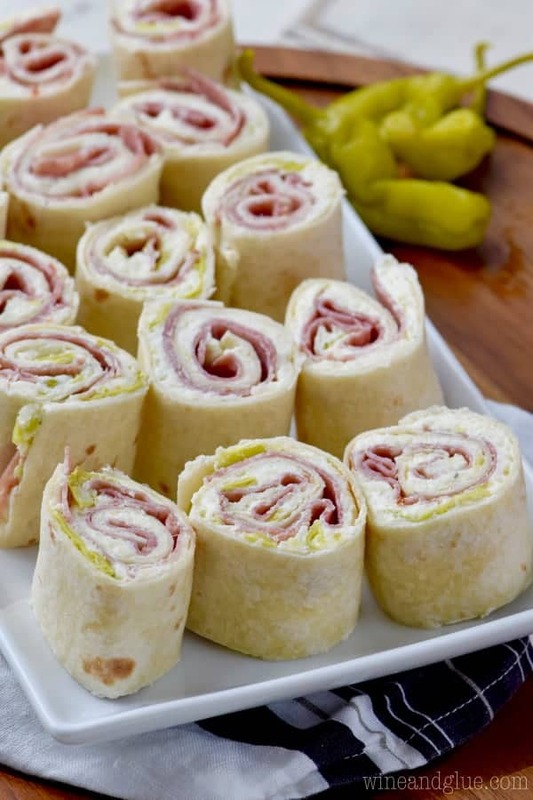 They are such an easy appetizer to throw together and so delicious. Perfect for gameday or any day that you want to pretend you don’t have to move your family of five in just a few short weeks! In a large bowl, using a handheld mixer, combine the cream cheese, mozzarella, chopped peppercinis, peppercini juice, and Italian dressing mix. Mix until fully combined. Divide the cream cheese mixture evenly amongst the tortilla shells. 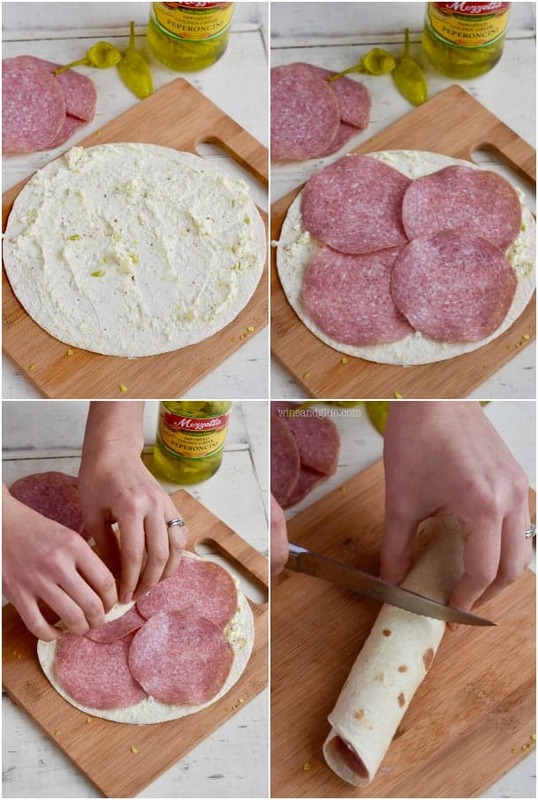 Add four slices of salami to each tortilla shell. 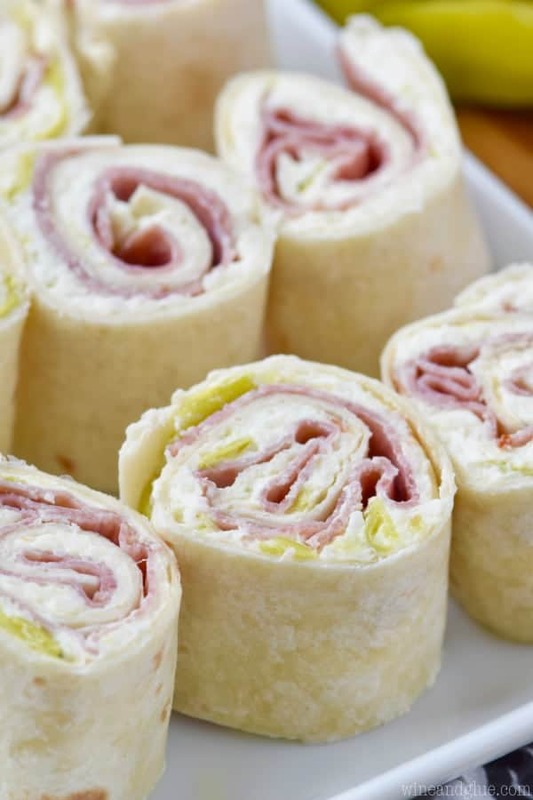 Roll up and cut into even pieces. Serve or store in an airtight container for up to two days. I have so many of the same sentiments as you! We also lost our first little baby boy, I also feel a little spoiled and guilty for living in such a nice home (we built three years ago), and I also am NEVER MOVING AGAIN! (I have made this very clear to my husband). Soon the stress will be over and you will be so happy to be in your new home. Melissa. HOW did I not know you lost a child??? Did you tell me and I blocked it out?? I’m so sorry. I hate that we have this in common, but I always take heart in knowing that someone else gets it. And MAN you GET it, lol! And thank you, the light is at the end of the tunnel. I am so so very sorry for your loss, Sandra! You say large tortilla shells here. Do you mean 8 inch ones or larger? The 8 inch ones should be great!